HMH Books for Young Readers, 9780547248271, 80pp. T. S. Eliot’s playful cat poems have delighted readers and cat lovers around the world ever since they were first published in 1939. They were originally composed for his godchildren, with Eliot posing as Old Possum himself, and later inspired the legendary musical Cats. 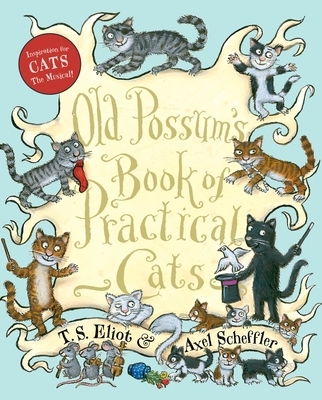 Now with vibrant illustrations by the award-winning Axel Scheffler, this captivating edition makes a wonderful new home for Mr. Mistoffelees, Growltiger, the Rum Tum Tugger, Macavity the mystery cat, and many other memorable strays. It’s the perfect complement to the beloved previous edition, which remains available.